People browse Internet articles on their smartphones, Abidjan, Ivory Coast, September 30, 2016. Africa is home to one of the fastest growing technology markets in the world. In fact, more African households own a mobile phone than have reliable electricity or clean water. 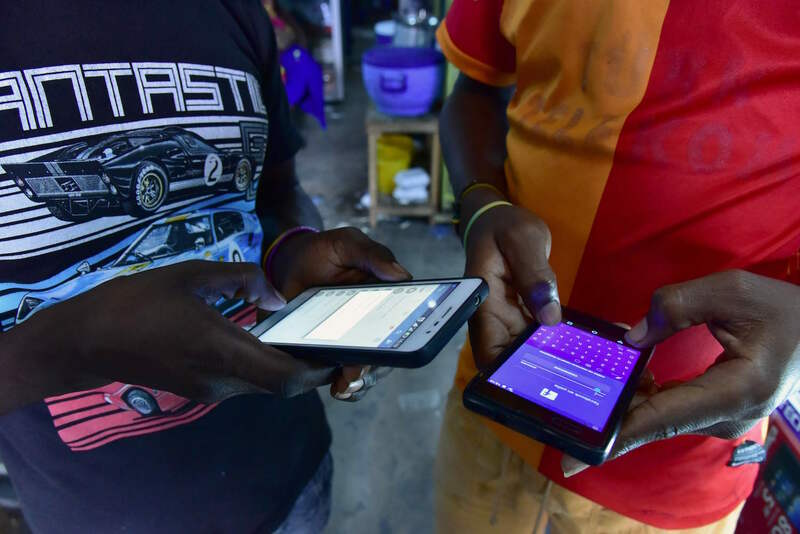 The combination of a young population, quickly growing economies, and steadily falling prices of both mobile handsets as well as Internet access are all contributing to produce one of the most dynamic Internet communications technology (ICT) markets in the world. Both the Chinese government and private companies play an outsized role in Africa’s ICT development. Vast new mobile phone and data networks are being built by firms like Huawei and ZTE and financed by China’s state-controlled banks, while device manufacturers like Lenovo and Xiaomi flood the market with affordable handsets that allow tens of millions of new consumers to go online every year. Although the Chinese do not often get the credit they rightly deserve for building out so much of Africa’s technology infrastructure, human rights groups and other civil society organizations are increasingly concerned that along with the new devices, servers, and routers, the Chinese are also importing the know-how for some African governments to implement far-reaching telecom surveillance initiatives. This week on the podcast, Eric and Cobus explore the intersection between politics and technology in Africa, and how China is changing the digital landscape across the continent, both for good and, potentially, in ways that could lead to increased censorship and state-control. Their guest this week is Iginio Gagliardone, a leading scholar on African new media at Wits University in Johannesburg. Iginio is also an Associate Research Fellow in New Media and Human Rights at the University of Oxford in the United Kingdom and the author of the new book The Politics of Technology in Africa.